Retrenchments are always a last resort, says Grant Bodley, CEO of Dimension Data Middle East and Africa. 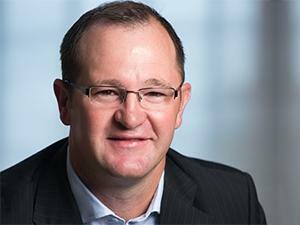 IT services company Dimension Data has quietly retrenched some of its employees. A source told ITWeb this week that the firm last week laid off staff. When contacted, Dimension Data confirmed the job cuts but did not say how many people were affected or from which departments. In an e-mailed statement to ITWeb, Grant Bodley, CEO of Dimension Data Middle East and Africa, said: "Dimension Data continues to re-evaluate its structures to respond to changing market conditions and meet client requirements. "These changes are necessary to ensure we remove duplication, remain agile, relevant and continue to build a sustainable business going forward. Retrenchments are always a last resort, but may regrettably become a necessity as the company restructures to meet operational and business requirements." Dimension Data's key companies are telecoms service provider, Internet Solutions; end-to-end integrated telecommunications solutions provider, Plessey; and customer management outsourcing solution provider, Merchants. Other Dimension Data-owned concerns include AccessKenya, ContinuitySA, Agile, AlwaysOn, Xpedia and Euricom, among others. In October 2010, Japan-based Nippon Telegraph and Telephone Corporation (NTT), one of the largest global telecommunications service providers, acquired 100% of Dimension Data for £2.1 billion, or R24 billion, making Dimension Data a wholly-owned subsidiary of the NTT Group. Following the acquisition, Dimension Data delisted from the London and Johannesburg stock exchanges. The offer was declared unconditional in all respects on 11 October 2010. The offer consideration was 120 pence in cash for each Dimension Data ordinary share, valuing the company at approximately £2.1 billion. With a turnover of $7.5 billion, offices in 58 countries and 31 000 employees, Dimension Data is one of the biggest IT services providers globally. However, the company did not indicate which regions were affected by the retrenchments. Meanwhile, NTT predicts healthy earnings per share growth of 12.70% over the next five years.